Morocco’s Oasis Festival adds to an already impressive line-up today, announcing two very special guests. 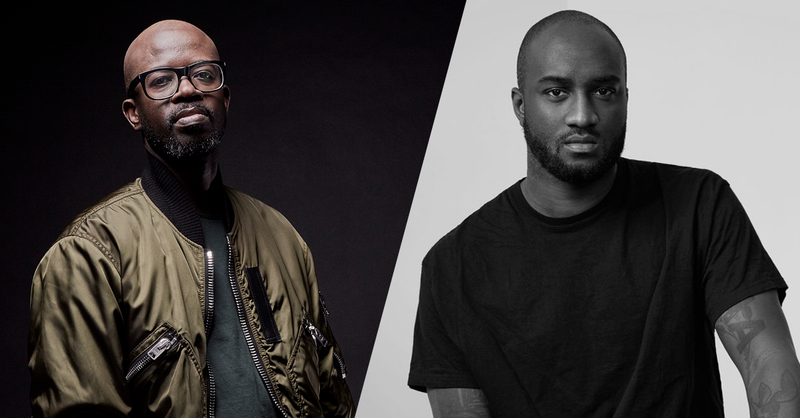 South Africa’s hottest export, Black Coffee, and American fashion designer and DJ, Virgil Abloh, are set to join acts including Ben Klock, Carl Cox, DJ Koze, Honey Dijon, Hot Since 82, Jessy Lanza, Mount Kimbie, Peggy Gou, Sasha and The Black Madonna in Marrakech for the festival’s fourth edition, which takes place from 14th – 16th September. Black Coffee has established himself as one of the biggest stars of the global electronic music scene. With a succession of award-winning albums to his name, a hugely successful Ibiza residency at Hï Ibiza, and high profile collaborations with everyone from Drake to Alicia Keys, the South African artist is on a seemingly never-ending upward trajectory. Blending house music with soul, jazz and afro funk, his DJ sets serve up intoxicating rhythms and soulful vocals with a warm groove that never fail to ignite the dancefloor. The house hero’s debut performance at Oasis Festival is guaranteed to be a festival highlight. Celebrated fashion designer, Off White founder, Kanye West collaborator and Louis Vuitton artistic director Virgil Abloh also joins the lineup today. The Chicago native has long been involved in dance music and the last few years have seen him become one of the scene’s most talked about talents, performing everywhere from DC-10 and Hï Ibiza to Lollapalooza and Tomorrowland. These final names complete a world-class line-up of electronic music stars, including Actress B2B Mount Kimbie, Amine K, Avalon Emerson, Bradley Zero, Derrick Carter B2B The Black Madonna, Deetron, Detroit Swindle, DJ Koze, Jane Fitz, Jessy Lanza, La Fleur, Larry Heard (live), Honey Dijon, Octo Octa, Paul Temple (live), Romare, Sasha, Sassy J, Peggy Gou, Unes and many more. It all goes down at the magical Fellah Hotel at the foot of the Atlas Mountains, complete with tropical gardens, palm trees and sun-soaked swimming pools all backed by breathtaking vistas. Providing a fully immersive experience, the Oasis programme also offers daily yoga and meditation, an on-site spa, hookah lounge and champagne bar, along with a wide variety of culinary delights from Marrakech’s contemporary food scene. Cultural offerings come courtesy of The Museum of African Contemporary Art Al Maaden (MACAAL) and Moroccan designer Amine Bendriouich (who will curate new creative space ‘Welcome to the Kingdom’), bringing festivalgoers closer to Moroccan history, art, design and culture. A once-in-a-lifetime chance to explore one of the richest cultures on the planet while taking in sets from acts at the forefront of electronic music, Oasis is an essential date on the festival calendar. Oasis 2018 takes place from 14th – 16th September 2018. 3-day festival tickets from 200€ are on sale now. Book your place and keep up to date with all of the latest news at theoasisfest.com. For a reminder of what went down last year, check the Oasis 2017 Aftermovie.